For ten days each August, connoisseurs and enthusiasts from around the world converge on the Monterey Peninsula to celebrate the ultimate in automotive design, engineering and camaraderie among fellow aficionados. 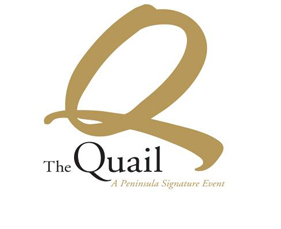 The crown jewel in a whirlwind of events is The Quail, A Motorsports Gathering. Since its inception, it has combined a lush setting on a golf course nestled against the Santa Lucia mountain range with exceptional cuisine and the finest examples of vintage sporting automobiles seen during the week. Sponsors provide today’s cream-of-the-crop luxury cars to be sampled by guests on local roads, and those who wish can also test their mettle on the Land Rover Experience Driving School off-road course.